Obscure gastrointestinal bleeding (OGIB) is defined as overt bleeding of unknown origin that persists or recurs after an initial negative endoscopic evaluation including colonoscopy and EGD. 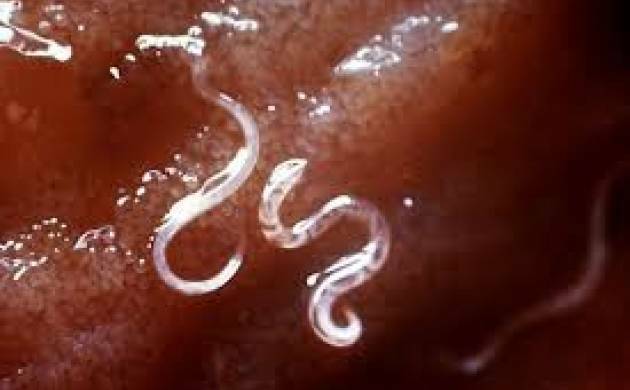 Hookworm manifestation in the body if not diagnosed timely, could lead to their multiplication and “immense blood loss” and complications, according to medical experts. City-based Sir Ganga Ram Hospital (SGRH) today said the behaviour was observed during the case study of a 14-year-old boy, who was “referred to the centre about six months ago, with two episodes of passage of blood in stool”. He was suffering from iron deficiency for the last two years and was being supported with repeated blood transfusion, the hospital said in a statement. “The boy had received 50 units (22 litres) of blood in transfusion in the last two years. His diagnosis could not be established in spite of various repeated tests including esophagogastroduodenoscopy (EGD), colonoscopy and radiographic studies of intestines done earlier and at our centre also, which were normal,” it said. “His haemoglobin was low at 5.86 unit,” according to Dr Anil Arora, Chairperson, Department of Gastroenterology at the SGRH. He is also a co-author of the case study that has been published in the Journal of Infectious Diseases and Therapy by the Department of Gastroenterology, the hospital said. “In view of the child’s obscure (unknown origin) gastrointestinal bleeding (OGIB), we conducted capsule endoscopy. The results shocked us. We could see multiple hookworms buried in small intestine and were seen actively sucking blood with dancing movements,” he said. Capsule endoscopy is a procedure that uses a tiny wireless camera to take pictures of the digestive tract. “Sucked blood could be seen in the cavity of hookworms, giving red colour to them. White coloured hookworms that had not yet sucked blood were seen lying quiet in the small bowel. After treatment the child recovered and his haemoglobin increased to 11 gm/dl,” the doctor said. “Conventionally hookworm infestation is found commonly in Asian population. Manifestation of hookworms can be prevented by avoiding barefoot walking and maintenance of food hygiene,” Arora said.